When the word that Rick Nash is in play broke, my immediate thought was the St. Louis Blues. Former Columbus Coach Ken Hitchcock is now the head Coach in St. Louis, and the Blues are starved for offense. My next thought of course was what would the deal look like? Columbus GM Scott Howson has said the blueprint for a Nash deal would include a significant roster player, a top prospect, and a first round draft choice. Taking that blueprint and applying it to St. Louis would look like this. Chris Stewart, Vladimir Tarasenko and the first round draft pick. Stewart is really struggling this season on pace for only 31 points. The previous two seasons he produced 53 and 64 points. Sometimes a player just does not fit well with a team and simply needs a change of scenery. Still only 23 and at 6’2 and 228 Lbs Stewart would be worth the investment. Earning only $2.875 million Stewart is a bargain, but considering his poor stats this season when his contract expires in the summer and he becomes a restricted free agent resigning should not be a challenge for similar money. There is tremendous upside in Stewart. Tarasenko is a top prospect. He is ranked fifth overall in the Hockey News Future Watch magazine. At only 5’11” 185 Lbs the diminutive forward brings an impressive combination of skill, speed, and strength. The “Tank” led team Russia to World Junior Gold as the captain and scored a goal and an assist in the Gold Medal Game in 2011. 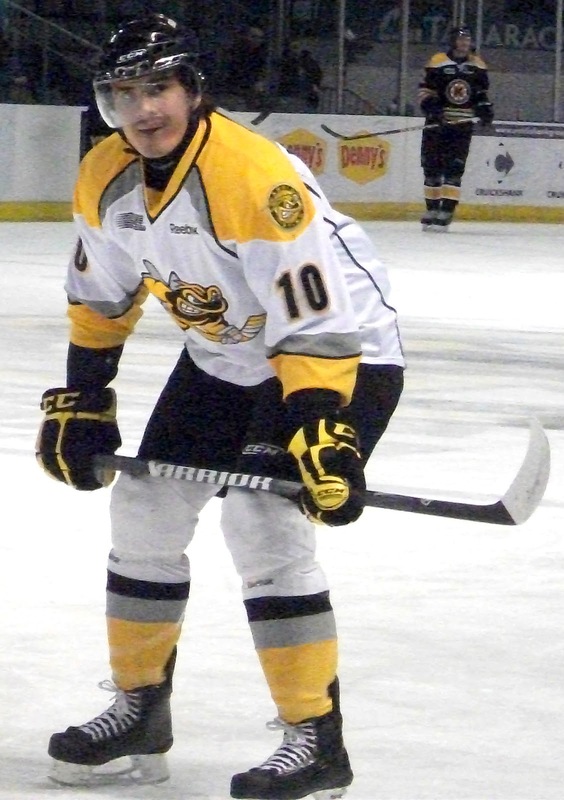 Columbus is positioned to potentially receive the first overall draft selection in the upcoming entry draft and select Sarnia Sting sniper Nail Yakupov. Yakupov is the consensus number one ranked draft eligible prospect for the upcoming NHL draft.Yakupov played a key role for Russia in winning the 2011 World Junior Silver Medal. There is always a concern having Russian born prospects of course with the possibility that they play in Russia. Having two top prospects on the same team with Russian veterans Fedor Tyutin, Maxim Mayorov, and Nikita Nikitin combined with the fact Yakupov is already in North America should put such concerns to rest. St. Louis has another bargaining chip to negotiate with. There is a bevy of talented goalies in the organization with Jaroslav Halak, Brian Elliott, Jake Allen, and Ben Bishop. 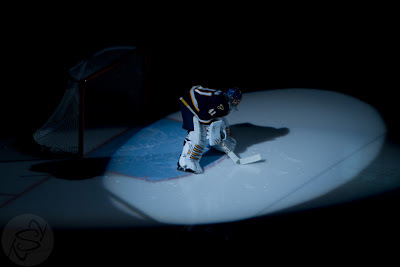 Halak and Elliott are playing very well with six shut outs each and both are in the top five of the NHL in goals against average giving the Blues arguably the best goal tending in the NHL. Jake Allen is ranked as the 37th overall prospect in Future Watch. Bishop is older at 24 and has been progressing well in the AHL with Peoria. How does the salary cap affect the deal? St. Louis has just under $10 million in cap space this season and with 15 players under contract next season have a cap hit of only $34 million. Plenty of room! The issue is ownership. The team is currently majority owned and operated by Dave Checketts but there is a deal in the works to sell to Tom Stillman who currently owns a 10% minority share of the Blues. NHL Commissioner Gary Bettman recently commented in his state of the league address in Ottawa during the All-Star event he is optimistic about the sale to Stillman. If ownership is comfortable assuming the Nash contract, this deal becomes even more attractive for Columbus perhaps as they are not required to take back any unwanted cap. 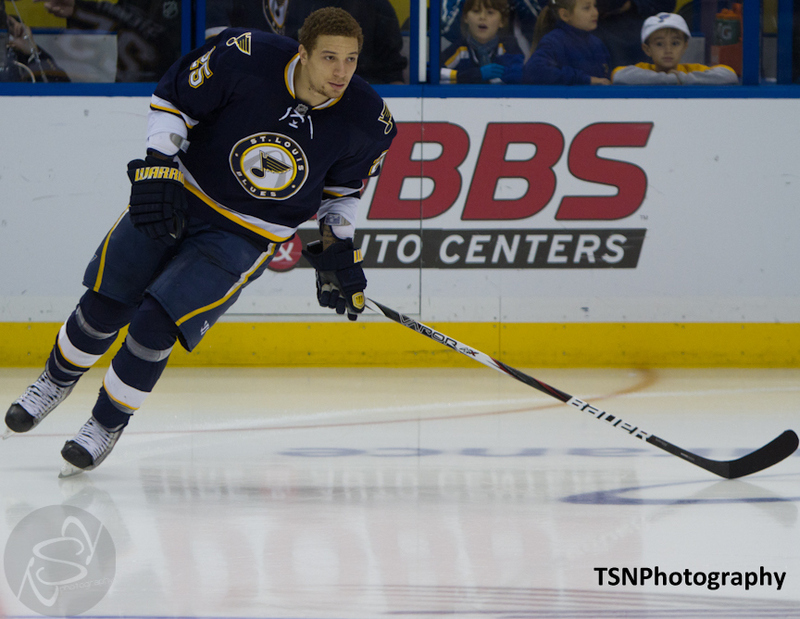 The Blues are having a good season and are looking at home ice advantage in the playoffs. Of the teams in the West with a playoff berth, St. Louis has the lowest goals for and could use a go to offensive player. Rick Nash would defiantly make an impact! 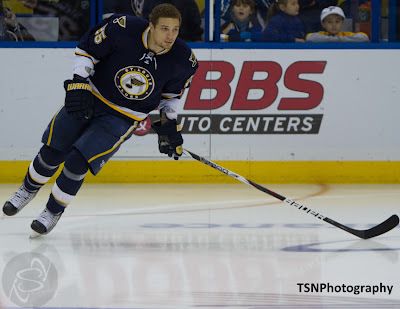 Is the offer of Stewart, Tarasenko, Bishop, and a first round pick enough? Is it the best? Posted by pharling at 11:28 a.m.